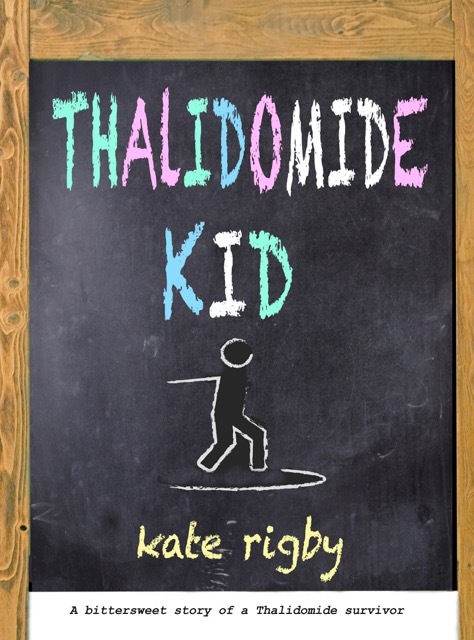 Today I am one of the stops on the blog blitz for Thalidomide Kid by Kate Rigby. I will be sharing an extract from the novel. And if you live in the UK, there is a giveaway going on! This is an excerpt where Celia overhears a conversation about ‘the boy with no arms’. Celia is still at primary school and her father, deputy head of ‘the big school’ has invited the head Miss Bond, for a meal. “Should we retire to the snug?” Dad said, when second helpings had long been demolished; a cue for the girls to clear away the plates and help Mum with the dishes. Celia and Abby took out the sherry glasses first, sipping the bits left at the bottom. They knew which was Miss Bond’s glass by the pink shade of her lipstick. By the time they’d done the dishes and their mother had seen to the coffees in the best Prinknash cups, the conversation had switched again. Dad, in one of the armchairs, was relighting his pipe, the blackened match nearly burning his fingers in its dying flare, while Miss Bond was holding forth on the studio couch, the tail end of which was about a fourth year boy from Upper Churnside who was always truanting and up to no good, even when he did attend school. Mrs Burkett, after offering the coffees, sat at the other end of the studio couch. Abby took the other armchair, leaving Celia with the milking stool one of the boys had made in woodwork at Dad’s old school in Accrington. She sat on it against the wall and pulled out one of her old Buntys that had somehow found its way into the magazine rack, having decided that it was OK to flick through her comic in this situation, seeing as the grown-ups were talking about stuff which wasn’t strictly for her ears. In this situation, discretion was a good strategy, she decided, and tried to lose herself in the pictures of fictional schoolgirls, some with pudding-basin haircuts like her own. Celia noticed how this Bunty had lost its new smell, that hot off-the-press smell it had when the instalments were all eagerly waiting to be read. Miss Bond glanced over at Celia who’d become enthralled by the story unfolding outside the confines of her comic. It must be him that Miss Bond was talking about. The boy with no arms. 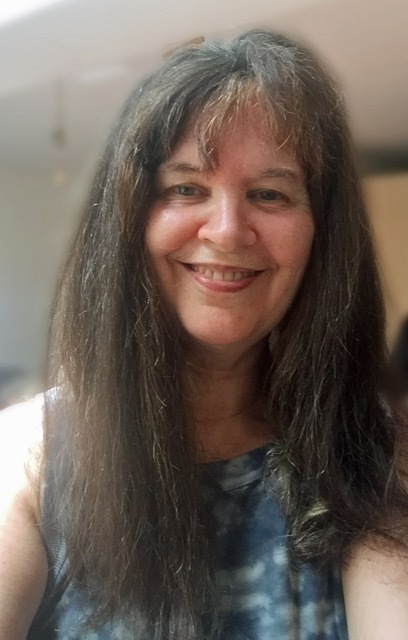 The conversation gradually moved on again to the fourth year parents’ evening and PTAs and school governors, and Celia drifted off, glowing on dregs of sherry and thinking of May and June with their severed legs and the handicapped boy with hair the colour of a doll’s. Lovely, unspoilt hair. *Terms and Conditions –Please enter using the Rafflecopter box above. The winner will be selected at random via Rafflecopter from all valid entries and will be notified by Twitter and/or email. If no response is received within 7 days then I reserve the right to select an alternative winner. Open to all entrants aged 18 or over. Any personal data given as part of the competition entry is used for this purpose only and will not be shared with third parties, with the exception of the winners’ information. This will passed to the giveaway organiser and used only for fulfilment of the prize, after which time I will delete the data. I am not responsible for despatch or delivery of the prize.